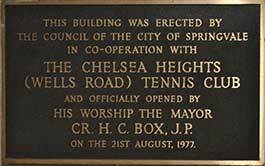 Chelsea Heights Tennis Club was originally formed in 1934, when local businessman H.G Wells advanced monies to build tennis courts and donated the land to build them on. The club’s original location is now occupied by the Freeway, and in 1974, the Club was re-located to Beazley Reserve, Chelsea Heights VIC 3196, where it continues today. 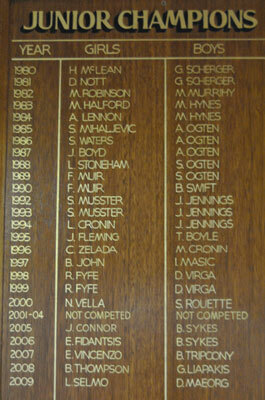 With great history, traditionally Chelsea Heights Tennis Club has been noted for our high levels of junior participation and development. Now with Hot Shots, team competitions and a family environment we encourage and welcome all levels of participants to the club with a sense of community. With newly refurbished courts and surroundings we strive to continue to be one of the best facilities within the Bayside Community with tremendous opportunities for adult and junior players to develop their game, or simply enjoy the social aspect of tennis. Our club coach, Leigh Holland is a club professional coach having completed the highest level of certification offered by Tennis Australia. Leigh offers coaching from Monday to Saturday with private and group lessons available as well as intensive school holiday coaching clinics. The club has 6 en-tout-cas tennis courts, 4 of which have new lighting. Our clubrooms have a kitchen, toilets and showering facilities with courts available to individuals or groups for public hire. Our club competes in junior competition in the Moorabbin and Districts Tennis Association with all competition played on a Saturday morning. Our club has a sense of pride and is community based. Our club room is available for hire for parties and functions. With a full kitchen with cooking facilities including fridge , freezer, oven, pie warmer, counter top drinks fridge. Club coach Leigh Holland offers tennis party activities, inluding ball machine, speed gun, and target practice. All copyright material used remains copyright of the respective owners and has been used here pursuant to Section 40 of the Copyright Act 1968 (Commonwealth of Australia). No part of this work may be reproduced without consent of the original copyright owners.